This year, the social media landscape changed dramatically for digital marketers and ecommerce merchants. If you haven’t adjusted the way you approach social media, now is the time to review your strategies and flex with the changes. Here’s a look at what 2017 meant for social media and trends in 2018 that are about to change all that again (as well as what this means for your ecommerce social media plans in 2018). More than 2 billion people now use Facebook, so if you're not using Facebook as part of your paid or organic marketing strategies you're missing out on a vital audience. Given that almost half (42%) of millennial can't last 5 hours without checking Facebook as of 2017, advertising on this platform is especially important for ecommerce sites targeting this age group. One of the biggest changes on this platform this year has been the focus on demoting “engagement bait” posts on the News Feed. As of 2017 Facebook have announced their algorithm directly works against posts asking for likes, comments, or tags in order to jump start engagement and get the post shared elsewhere. Although posts that are authentic (those that ask for real advice, work towards finding missing people, or are for charity) will not be affected it’s clear that for ecommerce sites the old days of tricking the Facebook algorithm into sharing a post widely by simply asking for likes are gone. Outside of the platform, this year Facebook also accounts for more than 80% of mobile social logins on other websites. This means that if you're using social logins on checkout (note: having these anyway is an extremely good idea, ASOS increased their conversions by 50% just letting people checkout as guests on their site because people like speedy checkouts) you must include Facebook as an option. Even 24% of non-Facebook adopters actively use somebody else's Facebook Account, so you're reaching more people than you think with social login options. Despite fears over the way the platform handles abuses of policies, Twitter remains a giant in the social network landscape with over 330 million monthly active users this year. Twitter made some key changes this year to their user interface that marketers should pay attention to when using the platform, in particular the old 140-character limit has now been increased to a 280 character limit on posts. Twitter claim that the larger limit has resulted in people spending more time on the platform and to higher engagement with tweets but, conversely, they still also hold that shorter tweets might be better for brands. With around 500 million daily active users, 2017 has seen Instagram grow from strength to strength. New features available on the app have allowed for continued growth on the site. A few of the best features unveiled in 2017 include Instagram Live and multiple photo posting. Like on Instagram’s parent site, live videos seem (for now) to be favored by the site and featured meaning the more live videos you post the further you can reach. Live videos can be intimidating for brands who have never tried the feature but the brilliant thing about Instagram stories is that there’s not the same expectation of high quality that there is for Instagram photos. While your Instagram photos should probably be art-like, your stories can be more personable, unpolished, and fun. Video and photo messaging app, Snapchat, faced a lot of firm competition in 2017, with other social networking sites implementing transient posting features and various filters similar to those seen in Snapchat. That said, Snapchat is holding steady as a firm favorite for teens. If you have buyer personas that represent your ideal customers or audience as teens, Snapchat is still an important tool for advertising and creating community online. Trying to keep up with large competitors, whose user-numbers dwarf that of Snapchat, the app went through a major redesign this year. Although some think this is a key reason growth has slowed on the platform – citing a confusing interface that perplexes users – Snapchat redesigned the app in an attempt to better personalize their service and entice people to sign-up. Recently, Snapchat also unveiled Lens Studio – a software that allows anyone on a Mac or PC to create their own AR effects. Lens Studio can aid you with your adverts too. Ecommerce sites and retails might want to pay attention to this in particular, since AR is an emerging trend in online shopping using the real world to try out products and is set to take off in 2018. 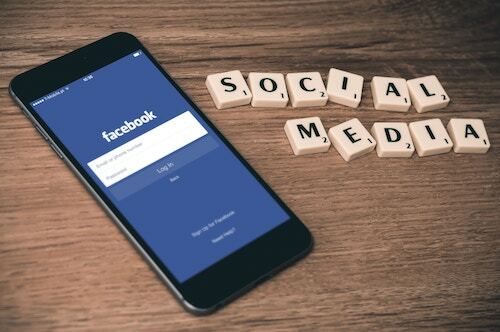 We’re global team with a global outlook, so any review of social media wouldn’t be complete without looking at some of the social media platforms more suited for international campaigns in ecommerce. Chinese social media platform Sina Weibo or Weibo is a particular interesting site for those looking to tap into Chinese markets. This year it reportedly capped 540 million active users, making it a strong contender in the social media landscape. Given that sites like Facebook, Twitter, and even Google are reportedly banned in China this platform is essential for any Chinese digital marketing campaign. New advertising rules, however, are something to keep in mind in 2018. WeChat is another Chinese social media giant that’s be gathering users at a steady pace since its inception. It’s even bigger than Weibo. WeChat’s owner Tencent, seem to collect and create social media platforms for a living rolling them out in over 80 countries, and WeChat is one of its most successful platforms – breaking new ground in New Zealand this year. Create Social Friendly Sites: Mobile-first design is crucial if you're going to be using social media as a strategy for marketing in 2018. Pair this with social login options and you'll see your conversion rates increase in the coming year. Make CTAs: Facebook's call-to-action buttons increase click through rates 2.85x, meaning if you haven't already in 2018 you should make use of the CTA buttons on your page. 78% of these buttons are "Shop Now' – this is a solid button for an ecommerce site with product pages but the top performing CTA is "learn more". Use Carosels:Facebook's Carosel ads are up to 10x better in terms of CTR than static advertisements and yield a 30-50% lower cost-per-conversion and 20-30% lower CTR than image link ads. Be Genuine: With Facebook’s changes to their News Feed, 2018 is the year to be genuine. This year Facebook also realized that social media isn’t fun for us all of the time, so their focus on promoting genuine messages that make people feel good about themselves isn’t going to go away soon. Try to focus on being helpful with your content (since helpful content promotes trust) and being as genuine as you can be with your brand. Bring back the human touch to your marketing plans wherever possible. Even if it involves automation there are ways to make a process feel human without it being human. Take Advantage Of Video: 70 % of in stream ads in Facebook are viewed to completion, with 100 million hours of video watched on Facebook every day. Video is not to be ignored in 2018. Facebook not your social platform of choice? LinkedIn are looking into refining their video advertising too. Gather Your Own Data: Twitter are pretty unsure of how their character limit changes will affect engagement on lengthy tweets since for now longer tweets are interesting but over time engagement may decrease. Now more than even it’s important that you gather your own data on how people engage with your content. Even the smallest of tests can lead to a large amount of insights. Recently, we carried out a quick test on our Instagram profile with the timing of hashtags and found the optimal time to comment with hashtags. Looking for more tips on inbound marketing using social media for 2018? Follow us on Instagram.